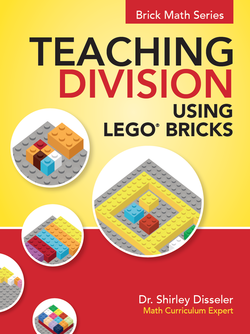 In Teaching Division Using LEGO® Bricks, Dr. Shirley Disseler has developed activities that work to help students learn the basics of division, using a common toy available in most classrooms and homes—LEGO® bricks! Using LEGO® bricks to model math provides a universal language. Children everywhere recognize this manipulative. It’s fun to learn when you’re using LEGO® bricks in the classroom!